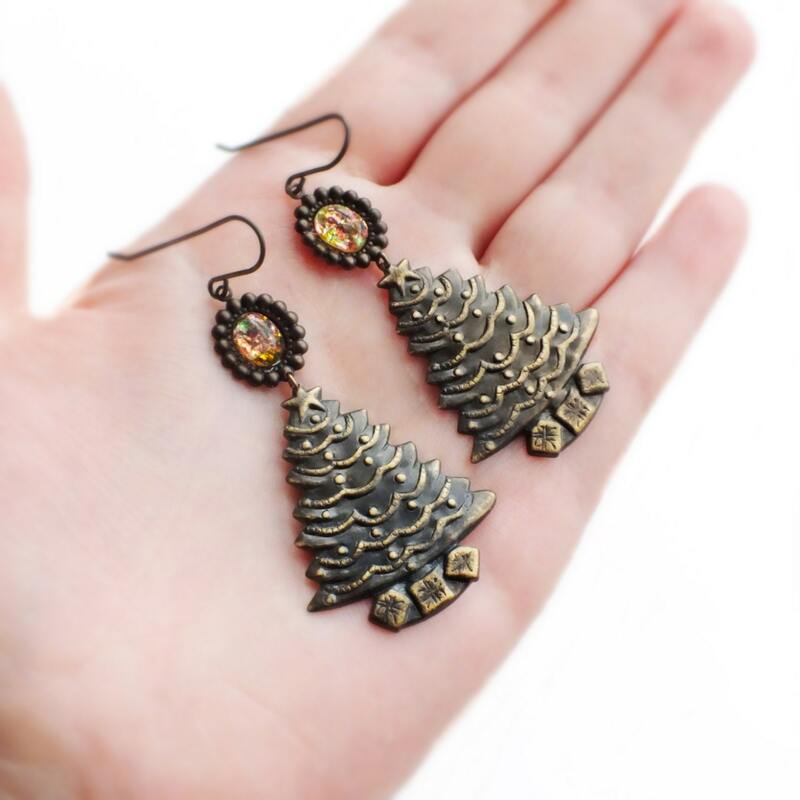 Handmade Victorian Christmas tree earrings with vintage opals and antique brass charms. 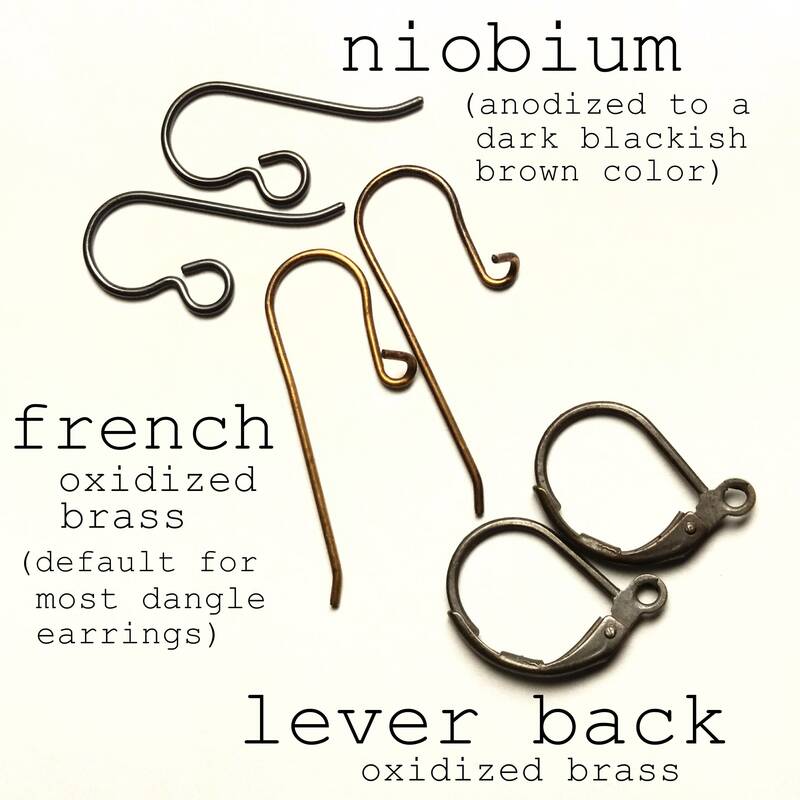 charms, ear wires and settings. 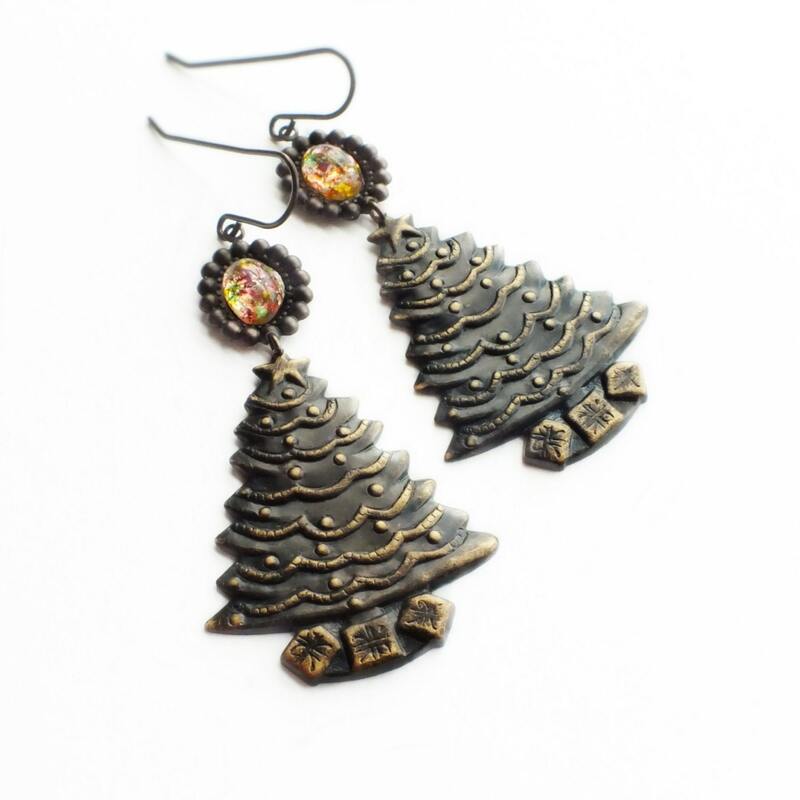 Trees are just under 3 cm - 1 1/8 wide. 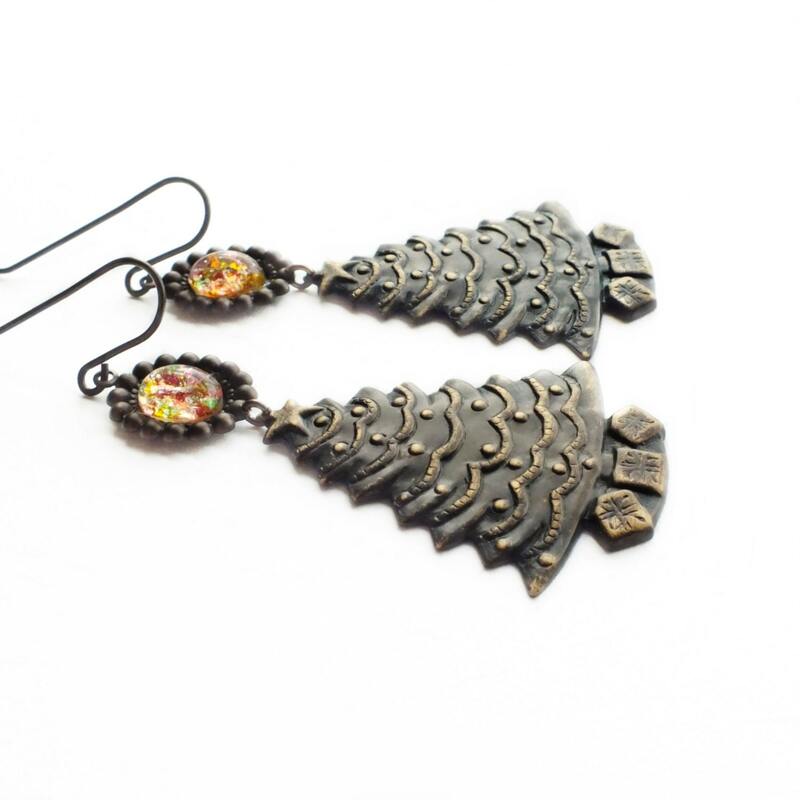 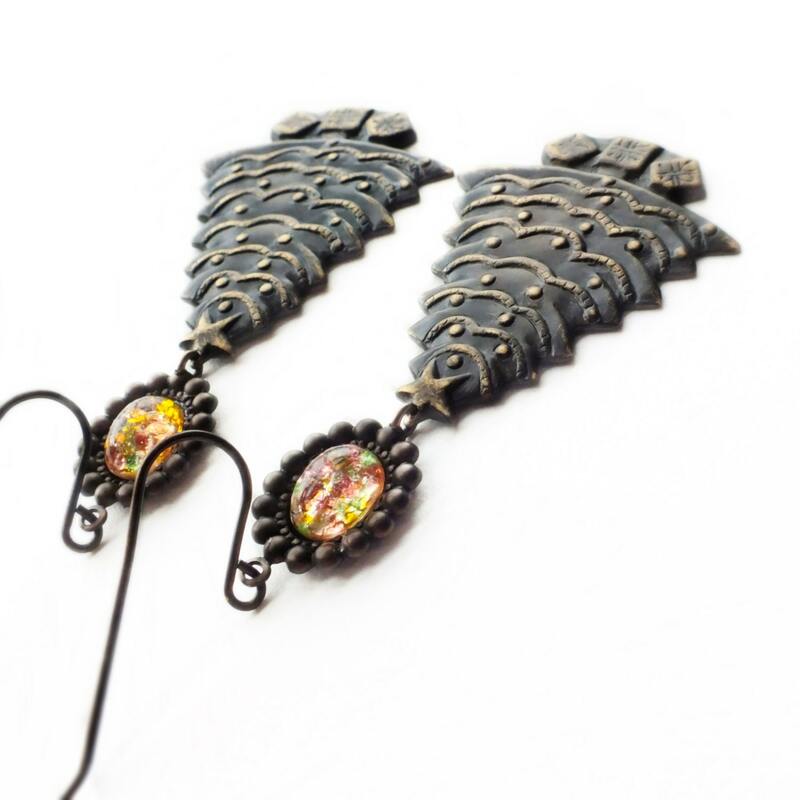 Christmas earrings made with large gorgeous hand-antiqued vintage brass decorated Christmas tree charms adorned from colorful sparkling vintage glass fire opals set in small antiqued brass frames. 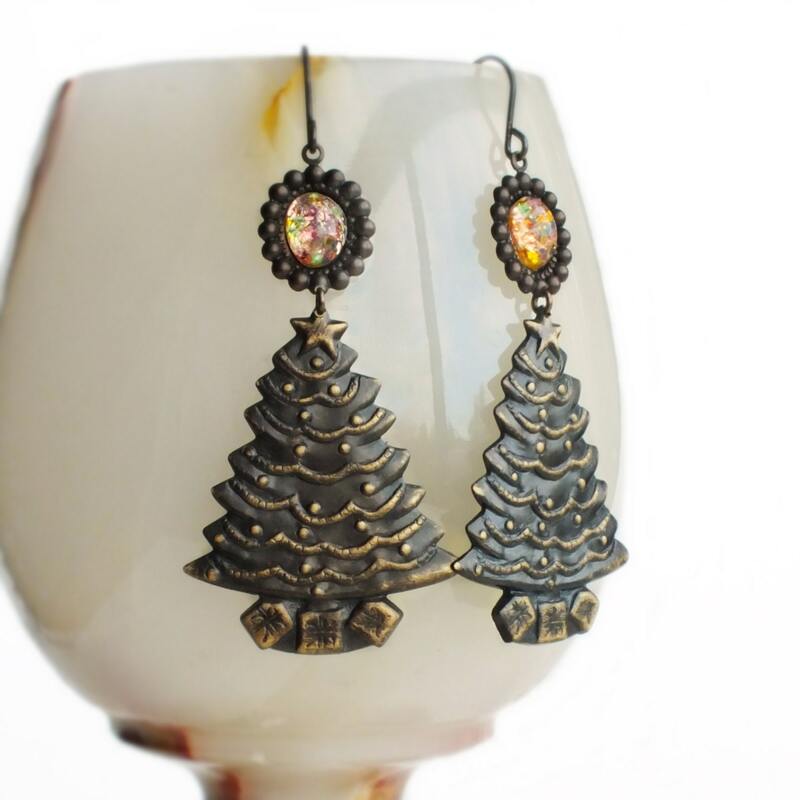 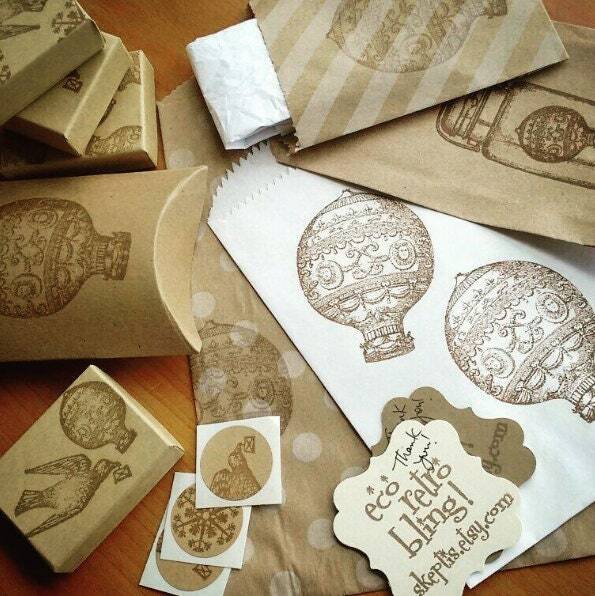 Beautiful vintage style statement pieces for the holidays!